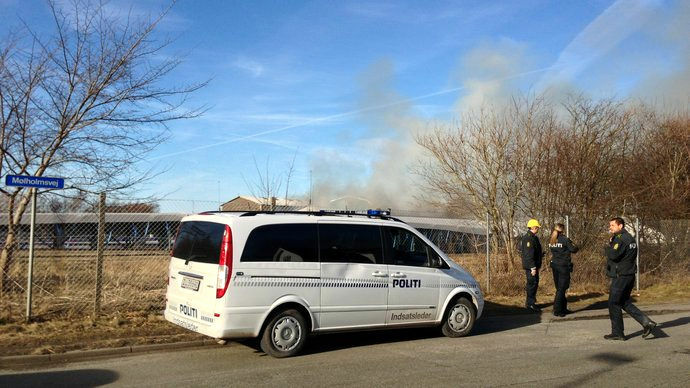 Απήχηση > 2013 > Arson in Danish wind turbine factory? 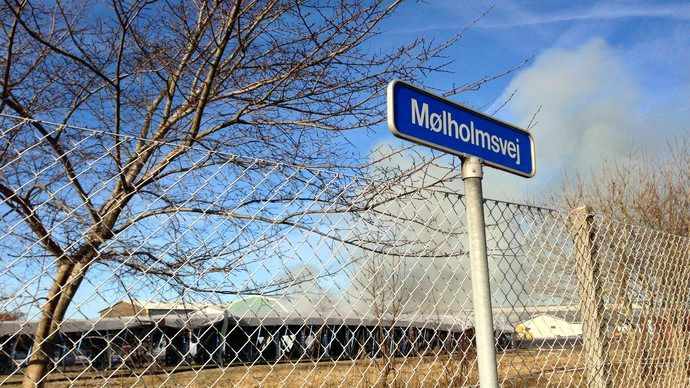 North Jutland Police suspect someone set fire to five costly molds in a wind turbine factory in Aalborg on Sunday afternoon, March 3, 2013. "The fire may be arson. We have cordoned off an area out there, and our technicians will probably start work tomorrow", says head of security Bruno Brix. 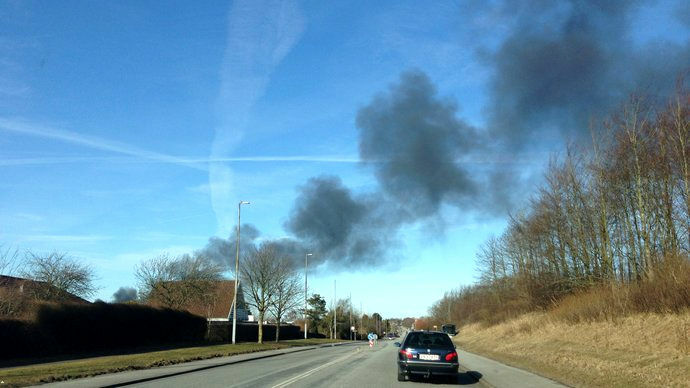 Police received notification about the fire at Siemens Wind Power plant in the western part of Aalborg at 14.48 h.
The burning molds emitted toxic smoke, but this has not posed any danger to residents of the area. There is a high probability that it is indeed arson. An accident could set fire to one mold, but five? Anyway, the police suspects arson, and they should know; better anyway than the chief of security, who would normally say what the company wants him to say. So one is entitled to wonder: is this the act of a disgruntled employee, or a compulsive arsonist maybe? Or could it be an act of desperation from an employee who is "driven nuts" by a windfarm near his home? In Denmark, as elsewhere, grassroots opposition to windfarms is growing. In that little country, there are about 160 associations of citizens opposing windfarms too close to homes. So much for "the Danish exception"! Windfarms are a problem in Denmark as they are in any country. around the world, over 70 health professionals have either investigated or voiced concern about the problem. It is not just about noise: it is about low frequency emissions, infrasound, modulation (pulsations), and the resulting chronic sleep deprivation - which in turn leads to a number of diseases, cardiovascular and much more.